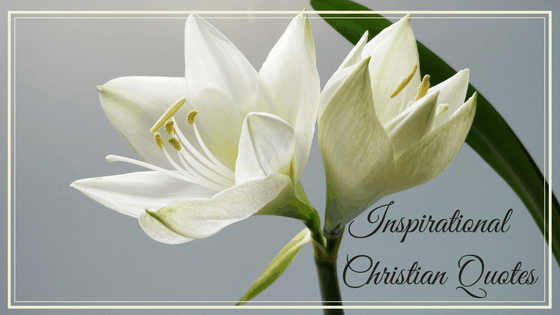 Whether your having a bad day or a bad week these great Inspirational Christian Quotes will help lift your spirits and get you thinking positive. Problems in life have a way of beating us down and keeping us down a long period of time – it doesn’t have to be like that. I’ve heard the quote, “Garbage in, garbage out” time and time again. What we feed our minds whether it be what we watch on TV, what we listen to on the radio, or what we read, it all affects us. If we start our day off negative because the first thing we do in the morning is read the news and take in all that is awful that lies within it, we are bound to be affected throughout the day. What if we tried something different? What if we absorbed something positive into our minds – would it change our attitudes? Would it lift our spirits? Ready for more? Start the 72 Day Reading Plan for the New Testament for a greater connection with our Heavenly Father and get closer to a more positive you! This are wonderful quotes! They would be great to hang up around the house to keep them in mind throughout your day! These are wonderful and great quotes to start your day. Lovely collection of quotes! We all need reminders everyday ? Thank you so much for sharing these incredible quotes! Very inspiring, uplifting, thought-provoking and encouraging!